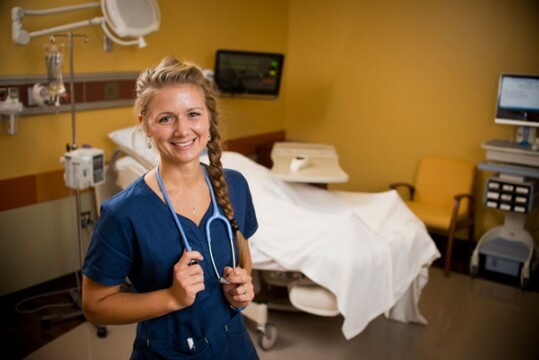 More than 200 miles away from the main campus of the University of Michigan-Flint, graduates from North Central Michigan College in Petoskey now will be able to earn an online bachelor’s degree in Nursing, Applied Science, or Business Administration close to home. A new agreement will help North Central Michigan College graduates transfer their credits toward three University of Michigan-Flint bachelor’s degree programs upon graduation from NCMC. Through a combination of courses transferred from North Central and earned online, students can complete all their coursework and earn their prestigious University of Michigan degree. The articulation agreements streamline the process for North Central students to transfer to UM-Flint to complete their baccalaureate degrees, makes higher education more accessible in northern Michigan, and helps fill a critical staffing need for area hospitals. The BSN is becoming a standard in nursing as hospitals strive for increasingly higher levels of quality. UM-Flint’s program is accredited by the prestigious Commission on Collegiate Nursing Education. The articulation agreements are now in effect and available to students. The agreements are the first between North Central and UM-Flint. The applied science agreement enables students with a North Central Associate in Applied Science degree in certain technical fields to complete their Bachelor of Applied Science (BAS) in programs appropriate to their interests and needs. Students will choose two of several available UM-Flint disciplines or concentration minors to complete their degree. The business administration agreement simplifies the process for students with a North Central Associate degree to complete their Bachelor of Business Administration (BBA) program at UM-Flint. UM-Flint’s program is accredited by the Association to Advance Collegiate Schools of Business, which represents the highest standard of achievement for business schools worldwide. Students still must apply and meet prerequisites and requirements for admission to UM-Flint. Interested students should contact an advisor at North Central Michigan College (231-348-6700) or the UM-Flint Admissions office (810-762-3300) to learn more about which classes to take and how to transfer credits. 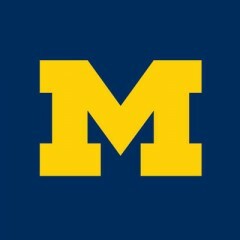 The University of Michigan Flint is one of three campuses that make up the world-renowned University of Michigan. As a regional comprehensive campus, UM-Flint is committed to academic excellence, student success, and community partnerships. UM-Flint offers more than 100 degree programs, with 12 fully online programs, five hybrid programs and 850 online course sections each year. On-site courses are offered in Port Huron, Lansing, Alpena—and beginning this fall, Traverse City. For more information, visit umflint.edu.